We need to recognize that innovation is one of the hardest things to align to strategy. It’s inherently messy, fairly unpredictable and its team-orientated approach sometimes cuts across borders, challenges different established positions and seemingly conflicting priorities. It often challenges the status quo and can on certain occasions, potentially challenge the stated strategic goals as those ‘disruptive forces’ have not been addressed radically enough. Innovation often “asks” difficult questions of ourselves. As innovation becomes a more consistent requirement rather than an occasional exercise, it must align to strategic goals and become part of the planning and execution cycle in more aligned ways. An increased focus on innovation as a consistent discipline requires significant reflection on what needs changing, what impact this change will have and how do we proceed to implement it. This requires senior management attention because of the significant organisational impact. The leadership within an organisation provide the linkage into the strategy, provide the framework and set this in the context of the vision and goals needed to be achieved. You, as the innovator, seek out the synergies between strategy and innovation, between innovation and capabilities, between culture, the environment, the process, structure and routines and how it all should be governed. All too often strategy is not influencing the behaviours and outcomes around innovation, it is simply allowing them to be left to chance. Innovation is being ‘pushed down’ the organisation for others to interpret and offer their answers. They execute to their own understanding and often the innovations end up as not strategically aligned. That is plainly wrong, not knowing the strategic objectives it is one of the principle causes of innovation failure and requires fixing. This poor strategic understanding creates a lack of alignment and directing innovation. If an organisation lacks top leadership engagement it becomes, for many, the reason why they seem to just simply ‘limp’ along in their innovation activity, delivering ‘simply’ incremental outcomes. The more radical innovations can never emerge if these do not have the close alignment to the Corporate vision or objectives and leadership engagement..
We cannot get away from the reality that in most of our organizations we have a disconnect going on around innovation. Research shows a lack of engagement around innovation by non-managers, also there are claims through studies that 7 out of 10 of employees do not understand how they can make a worthwhile contribution. The cynicism around innovation has turned it into nothing more than a buzzword for many, not taken with the seriousness that it really deserves for sustaining growth within organizations and achieving broader engagement to make this happen. Innovation is treated as more the opportunity taken when it fits and works, often toned down when it does not. There is often a total lack of sustaining strategic commitment to innovation.It is just not integrated into the core of the organization. Building an innovation framework that has real capabilities at its heart. I’ve strongly believed when you begin to think through a framework for innovation, see my last article as an example, you also should equally need to recognize the capability framework that you will need to build into this. Working through these as essential combinations can become the real enabler. Here is my solution that I think is worth working through, to firstly absorb and then consider for applying to your own innovation building activity. Try it! I have worked on a formula SCA = II + OC + EE + MLC + RNE for this. I have never published the make-up of this in the public domain before, although I had briefly outlined it in a past post here. In that post I outline my thinking and I do not think it needs repeating, does it? 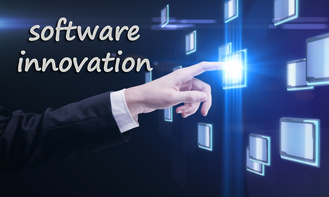 Are we moving towards integrated software for innovation management? What is striking me recently is the upsurge in the software being specifically designed for managing innovation. The competition seems to be warming up in the more ‘standalone’ out-of-the box segment and the innovation tools being provided are certainly accelerating the innovation process. The software being provided is going well beyond the simply mining and capturing of promising ideas. The solutions are moving into sound idea enrichment, evaluation processes and managing a portfolio of innovation in more holistic ways. The providers here, namely Hype, Brightidea, Spigit, Imaginatik and a growing group of others have been significantly improving their ‘front end’ offerings to capture and develop concepts- They are increasingly turning their attentions to the ‘back end’ and support with greater focuses on governance, knowledge repositories, campaign cockpits, evaluation and dialogue exchange mechanisms. Mobility has also been a growing feature to capture innovation ‘on the go’.